Venkata Raman was born on 7th November 1888 in Thiruvanaikaval near Tiruchirappalli in Madras Presidency. He was born to R. Chandrasekhara Iyer and Parvati Ammal and was the second of their five children. At an early age, Raman moved to Vizag in Andhra Pradesh and studied in the St. Aloysius Anglo-Indian High School. His father was a lecturer in mathematics and physics in the Presidency College in Madras where Raman entered at the age of thirteen. In the year 1904, Raman passed his Bachelors examination and won the gold medal in physics. He passed his Masters degree in the year 1907. Raman was married to Lokasundari Ammal on 6th May 1907 with whom he had two sons. Raman was the paternal uncle of Subrahmanyan Chandrasekhar who later won the Nobel Prize for Physics (1983) for his discovery of the Chandrasekhar limit in the year 1931 and for his subsequent work on the nuclear reactions necessary for stellar evolution. In the year 1917, C. V. Raman resigned from his government service job and took up the newly created Palit professorship in Physics in Calcutta University. During the same time, he continued to do research in the Indian Association for the Cultivation of Science where he became the Honorary Secretary. Raman referred this time period as the golden era of his career. Due to his teaching and research work, many students gathered around him at the IACS and the Calcutta University. On 28th February 1928, C.V. Raman discovered the Raman Effect. It is according to this effect that when a light traverses a transparent material, some of the light that is deflected changes in its wavelength. This phenomenon is now called Raman scattering and is the result of the Raman Effect. It was through his experiments on the scattering of light that he discovered this effect which was of high value. The finding gave proof of the quantum nature of light and Raman’s spectroscopy came to be used in this phenomenon. Ernest Rutherford referred to it in his presidential address to the Royal Society in the year 1929. In the same year, Raman was the president of the 16th session of the Indian Science Congress. Upon his discovery, thereafter, he was conferred a knighthood, medals and honorary doctorates by various universities. Raman at that time was confident of winning the Nobel Prize in Physics as well and was disappointed when the Nobel Prize went to Richardson in the year 1928 and to de Broglie in the year 1929. However, he eventually won the Nobel Prize in Physics in the year 1930 for his work on the ‘scattering of light and for the discovery of the effect named after him’. Raman was the first Asian and the first non white to receive any Nobel Prizes in the sciences. It was Rabindra Nath Tagore who won the Nobel Prize for Literature in the year 1913 before him. In the year 1932, Raman and Bhagavantam discovered the quantum photon spin which further confirmed the quantum nature of light. Raman also worked on the acoustics of musical instruments. He worked out the theory of transverse vibration of bowed strings on the basis of superposition velocities. Raman was also the first person to investigate the harmonic nature of the sound of the Indian drums like the 'tabla' and the 'mridangam'. Raman and his student provided the correct theoretical explanation for the acousto-optic effect in a series of articles resulting in the famous Raman-Nath theory. Modulators and switching systems based on this effect have enabled optical communication components based on laser systems. In the year 1934, C. V. Raman became the assistant director of the Indian Institute of Science in Bangalore, where he continued as a professor of physics for two years. Other investigators carried out by Raman were experimental and theoretical studies. These experiments were on the diffraction of light by acoustic waves of ultrasonic and hypersonic frequencies and those on the effects produced by X-rays on infrared vibrations in crystals exposed to ordinary light. C. V. Raman also started a company called CV Chemical and Manufacturing Co. Ltd in the year 1943 along with Dr. Krishnamurthy. The company established four factories in South India during its sixty year old running. In the year 1947, Raman was appointed as the first national professor by the newly independent Indian Government. In the year 1948, C. V. Raman, through studying the spectroscopic behavior of crystals approached the fundamental problems of crystal dynamics in a new way. Raman dealt with the structure and properties of diamond and the structure and optical behavior of numerous iridescent substances. He was also interested in studying the optics of colloids, electrical and magnetic anisotropy and the physiology of human vision. 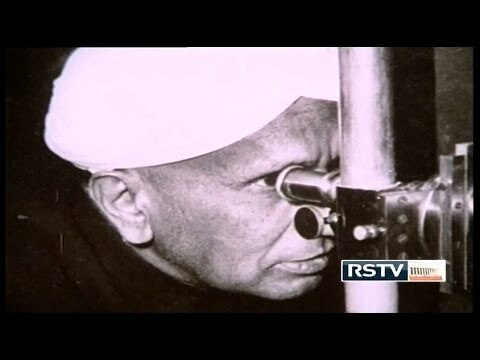 C. V. Raman retired from the Indian Institute of Science in the year 1944 and established the Raman Research Institute in Bangalore, Karnataka after a year. He served as its director and remained active there until his death in the year 1970 at the age of 82 years in Bangalore. Raman also published a number of articles and literary works on his scientific works and researches. C. V. Raman was honored with a large number of honorary doctorates and memberships of scientific societies. He was elected a Fellow of the Royal Society early in his career in the year 1924 and was knighted in the year 1929. In the year 1930, he won the Nobel Prize in Physics. He was awarded the Franklin Medal in the year 1941. In the year 1954, Raman was awarded the prestigious Bharat Ratna, the highest civilian honor in India. He was also awarded the Lenin Peace Prize in the year 1957. In the year 1998, the American Chemical Society and the Indian Association for the Cultivation of Science recognized C.V. Raman’s discovery as an International Historic Chemical Landmark. India celebrates National Science Day on 28th February every year to commemorate the discovery of the Raman Effect. Raman’s work was influential in the growth of science in India. The Government of India named a road after the great physicist C.V.Raman in Delhi. Apart from this, Bangalore too has a road named after him. It even has an area named the C.V. Raman Nagar. Not only this, the Indian Institute of Science has a building called the Raman Building in its premises. In eastern Bangalore, Sir C.V. Raman Hospital is built on the 80 Ft. Rd. 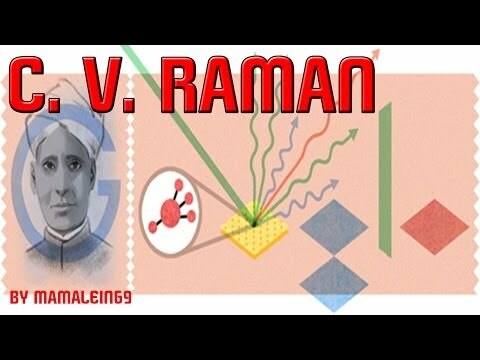 On his 125th birth anniversary in 2013, a Google Doodle was made to honor Raman.